This new partnership was formed early in 2018 to improve the health and wellbeing of residents in Alton and the surrounding area. It will support organisations that offer opportunities for people to stay healthy and focus on key issues in the community. The Health and Wellbeing Partnership is run by Community First alongside North Hampshire Clinical Commissioning Group and East Hampshire District Council. 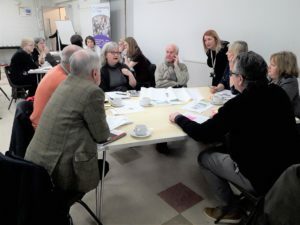 If you would like more information about the partnership or would like to be involved in future meetings, please contact jennie.romicheva@cfirst.org.uk. The next meeting will be held on Wednesday 15th May 10am at the Alton Maltings.